(above) This was taken from the alley late morning during the installation. Thursday, day 16. With no more hiccups, the permit was granted, and the remaining posts were set. Bryan had been worried about putting up the chain link fabric, but it turned out to be a piece of cake. With the posts set, he could measure for the three gate panels — a front double gate and a single one for the alley. The gate frames are custom ordered and should be ready for installation mid to late this coming week. I had ordered enough extra fabric that would include two complete design elements and then some. With what remains, we will position the gate frames over it and locate the perfect cuts. Patsy Ann, I really like the fence! What a great way to make it look unique and fun. Thank you, Cathy! Now if we can just get the gates installed. I really like it, Patsy Ann. It is so completely unique. AND your little dogs can see what’s going on in the world. You are probably going to get people coming by to stare though. I bet your space will get invaded by curious on-lookers interested in seeing the lace up close. And that would be completely ok with me, Margaret. I want the neighbors too also enjoy looking at my garden. That is… when it finally gets planted, but first the temps have to drop below 100 and stay there. OMG! So cute. I want a house and garden tour! Thanks, Karen! I’ll be glad to give you a tour once the transformation is complete. Becky, I’m so glad you think so, because the dirty backyard seemed to make the fence kind of ho-hum. The plantings will not be done until the temps are consistently below the three digit mark, and I understand that we can expect 3 digits through September. AAARRRGGGHHH!!! Because La Niña returns for a second visit this year. And if one more person tells me that there is no climate change, I will slap them upside the head! 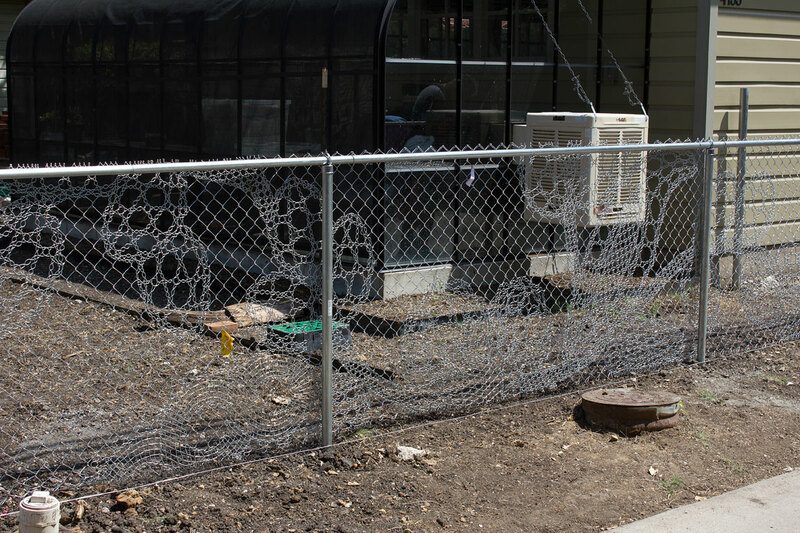 where can I get this fence ?….it’sbeautiful ….. Job well done. 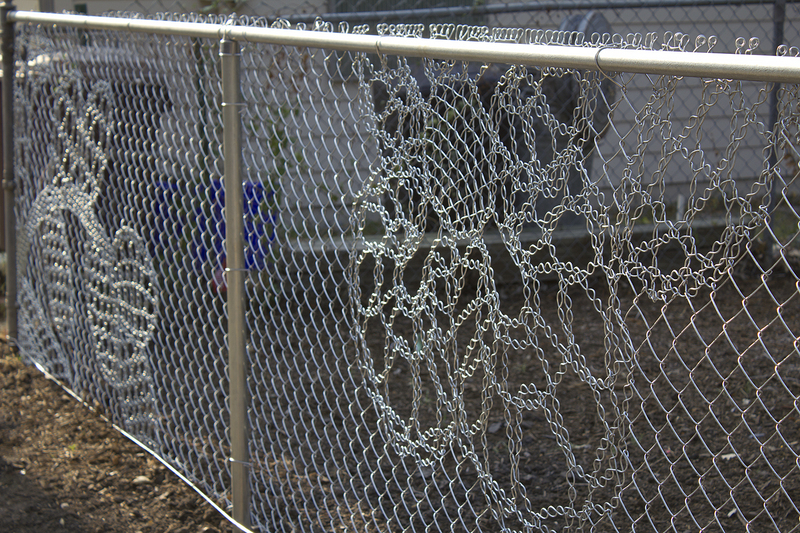 Cindy, here is a link to an earlier post where I have links to the makers of this fence. Click on this link to go there.